Ask a beauty professional to talk about their childhood and you will hear stories of kids playing in mom’s makeup and raiding closets to dress in style. Now, as adults, we spend our few spare moments watching videos of intricate line designs and nail art for new inspiration. We chose this industry because we love this industry and we love this industry because it is fun. It allows us to blur the line between work and play. After all, who doesn’t want to have fun doing what they love? 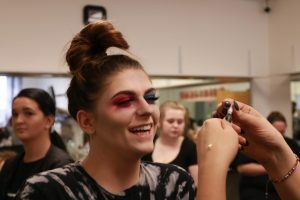 One of the most popular events of the school year is our Academy of Hair Design Fashion Show. It is the perfect opportunity for our students to express their creativity and take ownership of their work. 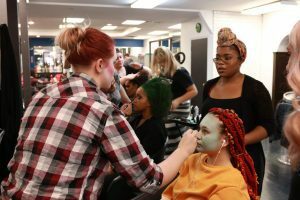 On teams that combine students from all four of our programs, they create a series of looks around a voted-upon theme. Come the day of the show, they execute these looks on models, staff members, and fellow students. The team with the highest quality, creativity, and technique is awarded the winning prize. The fashion show fills a lot of needs for AOHD students. For one, they get to create looks that are perhaps more avant-garde, high fashion, or creative than their daily services. They become their own client, deciding on a haircut, makeup, and style for themselves. Maintaining complete creative control over their models, their artistic vision, and their team’s styling is a rare opportunity. This is where our students are encouraged to try something new and push themselves out of their comfort zone. 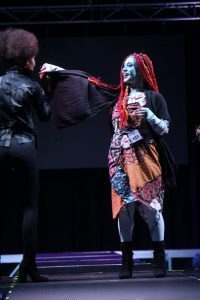 Additionally, the fashion show provides an opportunity to exhibit work to salon owners and beauty professionals in the Springfield area. We invite alumni and salon owners to judge the competition. This allows salon owners to take a close work at the incredible work AOHD students are doing. At events like these, students build their professional network and meet people who could be potential future employers. These employers have seen what our students can do, and they remember them when making hiring decisions months later. With over 20 guest judges invited, students are encouraged to mingle, shake hands, and bridge the gap between where they are now and where they want to be when they graduate. Of course, the most important aspect is the collaboration and team spirit that binds together. Students enjoy the competitive nature of the show. They collaborate with their team to create a holistically designed fashion experience. During the weeks leading up to the show, the school is buzzing with friendly energy and competitive posturing. Students and staff boast about their team’s theme and our social media is overrun with playful posts and memes. Team colors fly as everyone claims the future first place prize as their own. This competition urges students to outdo one another, but also to outdo themselves. After weeks of preparation and practice, they create work they once believed to be an impossible task. We admit that it is impossible for us to hide our pride in these talented future professionals. At its core, the fashion show is about sharing joy. Every day, we want our students find joy in their work. They serve with a smile and equip clients with confidence and happiness. Through annual events like the fashion show, we get to put this spirit of fun and joy that we live daily on display in a big way. The beauty industry is centered around personal happiness. We encourage our students to maintain a positive attitude and spread it to whatever salon they enter. We know when we are having a good time, our clients will as well. 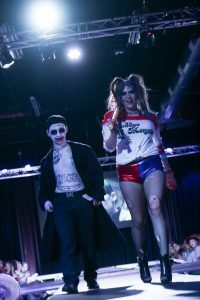 Want to see more pictures of our 2018 fashion show? Check us out!